New legislation threatens fetal-tissue research that could save lives. 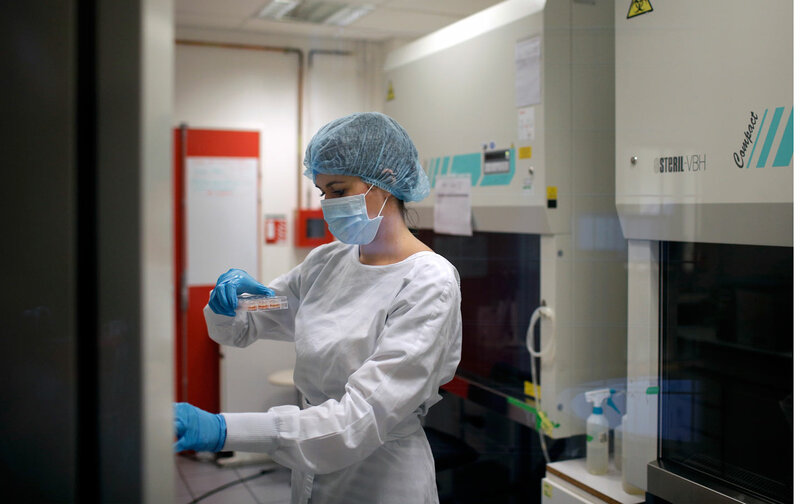 Researchers have relied on fetal tissue for scientific work since the 1930s, according to the report. Fetal tissue used for research is derived from abortion because tissue from miscarriage is often not suitable for research. Cell cultures from fetal tissue have been used to develop vaccines for measles, polio and tetanus, among other diseases. Scientists at Colorado State have been conducting HIV research using fetal tissue, while at the University of North Carolina Chapel Hill, cell culture derived from fetal tissue has been central to work on Hepatitis B and C. The National Institutes of Health awarded grants for 164 research projects using fetal tissue in 2014, according to a survey by Nature. “Today, fetal tissue is being used in the development of vaccines against Ebola and HIV, the study of human development, and efforts to treat and cure conditions and diseases that afflict millions of Americans,” the report states. Fetal tissue is being used in the development of vaccines against Ebola and HIV, but is increasingly restricted. Some scientists have avoided talking to the media, for fear of attacks like the November 27 attack on a Colorado Springs Planned Parenthood that killed three people and injured nine. Researchers feel a chilling effect. When Robertson first heard of the possible legislation, she didn’t think much about it. Then someone pointed out that the bill AB 305, as originally written, would outlaw research derived from any aborted fetal tissue, even one aborted in 1973. (The bill has since been amended to encompass only fetuses aborted after January 1, 2015.) “This would just end biological research on so many levels,” she says. The legislation, “casts a pall on the research…. We think we’re out of the woods and then the bill keeps coming up,” she says. “That does not create an atmosphere that progress in biomedical science is fully supported,” she says, although she notes that the university itself has been “very supportive.” Like Goldstein, she’s seen increased security in university medical research buildings. “Our entire building has been secured. Where before we had open doors…now we have security to get on to our floor,” even though she and her colleagues don’t deal with fetal tissue. Researchers who work with fetal tissue routinely emphasize that stringent standards for the use of fetal tissue were already in place for such work well before the Planned Parenthood videos. There’s no basis for the claims that fetal tissue donation pushes people to seek abortion, as presidential candidate Marco Rubio claimed in September, according to Alta Charo, a bioethicist at the University of Wisconsin Law School. Those who support the proposed legislation “don’t understand the great value that this research and technology have brought to people they know,” Robertson says.